For the safety of our children, it’s essential that all drivers follow these instructions for safe arrival and dismissal in our parking lot. Please note that all cars will enter from Rae Road behind the school. Rae Road comes off of Brainard Road just north of Mayfield. Click on the links to see maps and instructions for traffic flow. 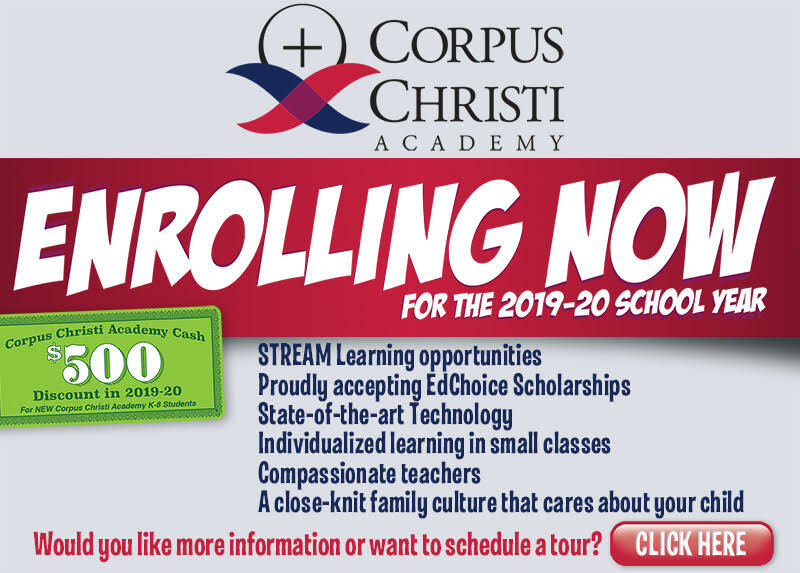 Non-Discrimination Policy: Corpus Christi Academy admits students of any race, color, and national or ethnic origin to all the rights, privileges, programs, and activities generally accorded or made available to students of the school. It does not discriminate on the basis of race, color, national or ethnic origin in the administration of its educational policies, admission policies, or athletic and other school-administered programs. ©2019 Corpus Christi Academy :: 5655 Mayfield Road :: Lyndhurst, Ohio 44124 :: All Rights Reserved.